How to integrate firebase into an ionic project. 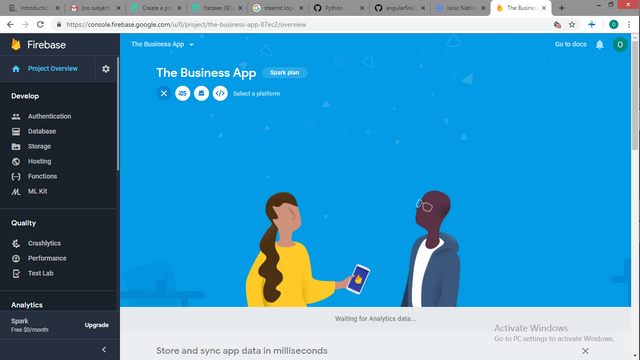 In this tutorial i would be walking you through how to properly integrate firebase into an ionic application which was quite a hectic task for me as my packages were getting mixed up and the official documentation is deprecated. Firebase is a google developed platform for the back-end of applications. It makes integration of authentication and storage way easier and helps manage servers regardless of where you application is being used. Firebase helps new developers who arent good at developing a back-end have an alternative that is better than hard-coding the back-end yourself. What you will need to use firebase in your application. When i tried using firebase for the first time, i went to the official documentation Here to try to integrate firebase into my application. When i tried this with my ionic 3 application. I couldn't compile my apk anymore and kept falling into a lot of errors while developing. I uninstalled the packages and plugins and found a solution to my problems which is stated below. Make sure you have angular and ionic installed then run the following command to use firebase in you app. 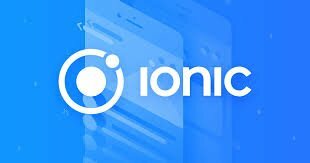 Choose webapp as you choice not ios while developing with ionic so this would be able to work in both ios and android applications. Next comes the tricky part. You would be getting a ton of errors about how promises could not be resolved. In another tutorial i would be talking about how promises work and the the probable reason for this error, but for now use this command to prevent that version error. Firebase cannot be used singularly so it is used with angularfire2 which is the package for using firebase in webapps. The next thing is linking the application to your project. Head to you app.module.ts file. When you choose the webapp choice for your application firebase you should get a variable like this. Note: I changed it from a variable to a constant before adding it to my app.module.ts file. Also take note of the three import at the beginning of the file and where i initiated the app as shown by the comments. In the next tutorial of this series, i'd be getting into user authentication and database storage using firebase. 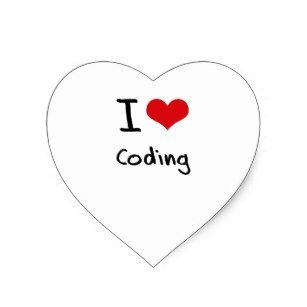 Nice work on the explanations of your code, although adding a bit more comments to the code can be helpful as well. We recommend you aim for capturing at least 2-3 concepts.